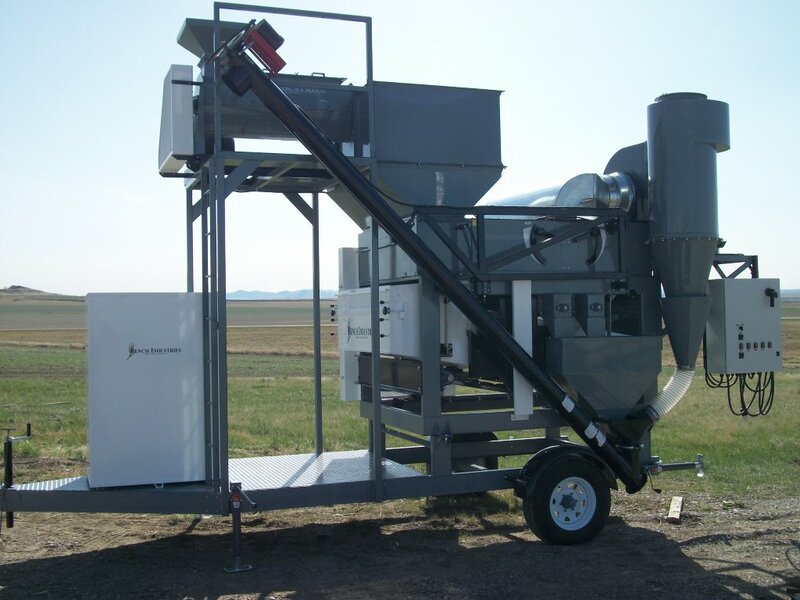 Bench Industries' Air Screen Machine, Grain/Seed Cleaners are very economical and easy to maintain. 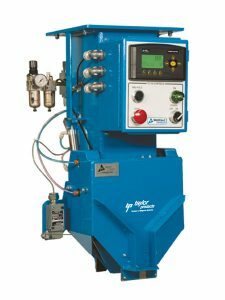 We offer a variety of machines, including three different size Air Screen Machines to choose from and our basic units have the same heavy duty construction as our larger units. Maintenance on our equipment is simple. Shoes can be replaced easily for different types of cleaning and Modules for air separation metering feed and additional screen areas available. 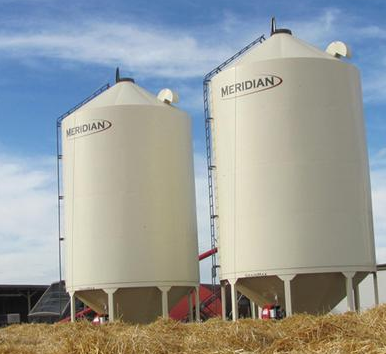 Modular grain and seed cleaners are available with a variety of options and configurations. We build custom grain and seed cleaning solutions based off your specific needs. Basic units have the same heavy duty construction as the larger units. Shoes can be replaced easily for different types of cleaning. Modules for air separation metering feed and additional screen area available. 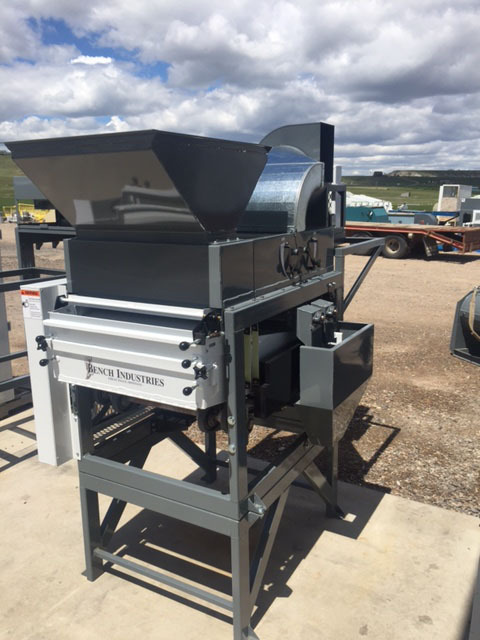 Bench Industries' Mid-Range Air Grain / Seed Cleaner is an affordable mid-size solution with industrial quality. 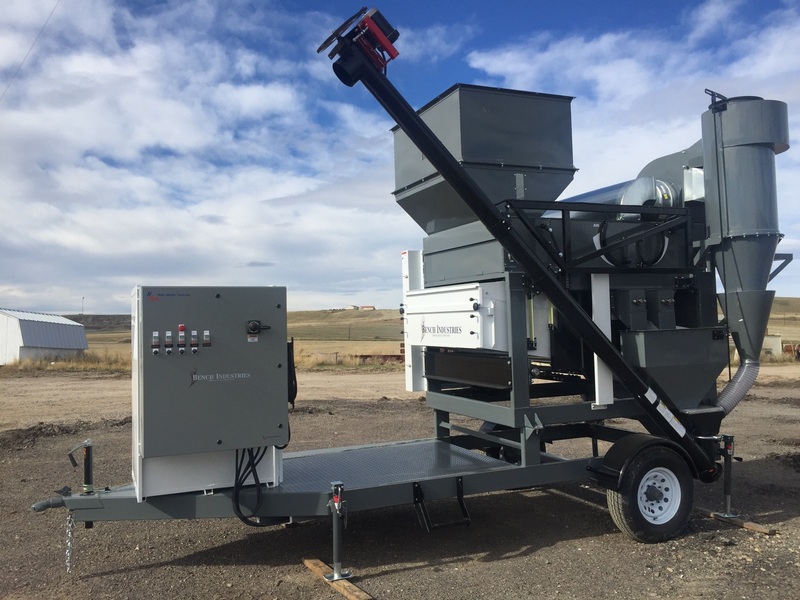 Our Mid-Range Air Screen Grain and Seed Cleaners are a low cost initial investment for your grain and seed cleaning needs. Our basic units have the same heavy duty construction as the larger units and are very low maintenance. Screens can be easily replaced for different types of product cleaning. They feature modules for air separation, metering feed and additional area. 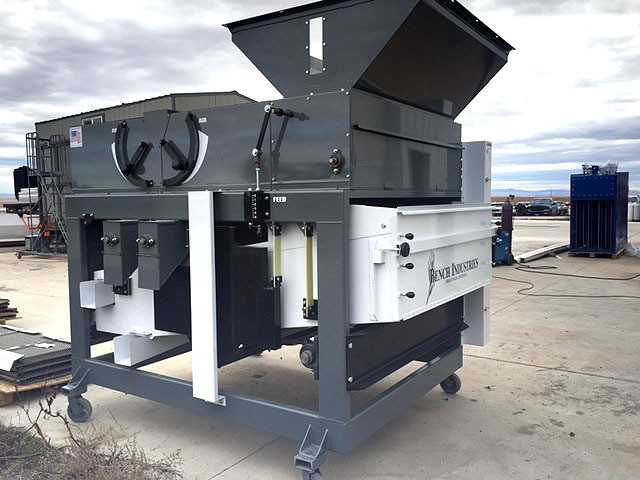 We have many custom options available including cleaned product shoots, dust solutions, intake hopper extensions, scalper feeders, and additional product screens. 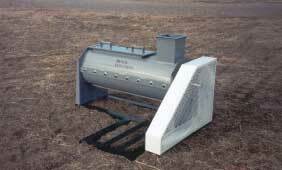 Gentle vibratory feeder for zero crop damage. Aggressive design enables handling of rough materials. All standard bearings and replacement parts. Large air settling chambers for even and accurate air separation. Low HP requirements, 1 HP on machine and 3 HP on fan. Large selection of screens available, from 27 square feet of screen area. Available in all steel construction. Screens are easily replaceable for different types of cleaning. Mobile Screen grain and seed cleaners are unmatched for quality and performance. They're easily set-up and you can clean at any bin site. If your looking for a high capacity unit, our mobile grain screeners can deliver up to 1,000 b.u. per hour sizing malting barley and up to 1,500 b.u. on removal of dockage. Our mobile grain and seed cleaners come in a variety of sizes, capacity and screening options. Low H.P. under 5 H.P. Variable pitch, shake, and speed. Take a look at our color sorting machine. It is all the newest in technologies with a very good design and workmanship. This is the highest throughput machine on the market. It can be added to a variety of custom grain and seed cleaners we have to offer. .For more information about the Color Sorter, click here. Removal of barley beards for seeds. Clipping oats for horse oat market. Remove white caps from seed wheat. Gentle handling of grain products. 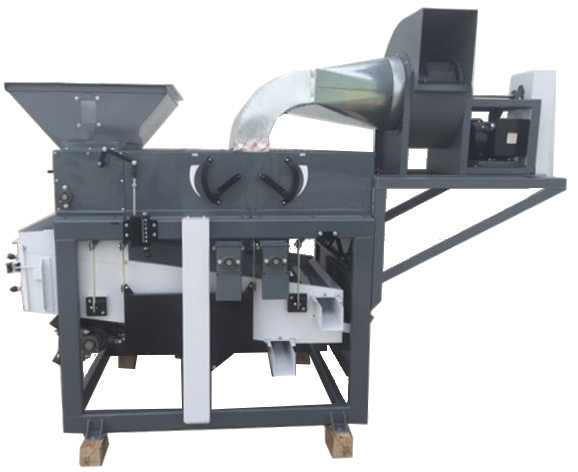 Variable grain/seed separations - scalp, sift or both. Several products can be conveyed with the same drive. Counterbalance available for unstable areas. Wide range of products, separation and capacity. Virtually any design and capability is attainable. Here at Bench Industries we are a dealer for Taylor Products. 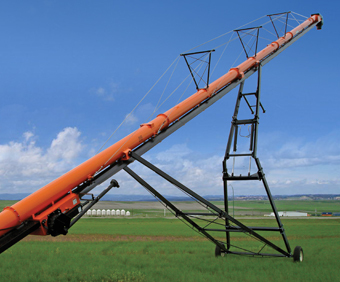 Taylor Products, has provided the Agricultural Industry with dependable, cost efficient solutions to bagging feed, seed and fertilizer since 1969. Hundreds of applications worldwide attest to their common sense approach to packaging. Their reputation of long lasting, trouble-free operation coupled with their outstanding service and parts department keeps your profits up and downtime to a minimum. Click on the link above to learn more about some of their products. Specialty crops, seed and some commodities are very susceptible to impact damage caused by conventional grain handling systems. 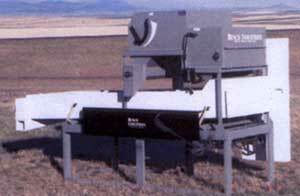 A Batco Belt Conveyor minimizes impact damage and helps protect grade quality and germination performance of seed. Batco's unique design requires half the horsepower of screw augers, saving energy and freeing up larger tractors for other uses. North American Electric Motors Ect. 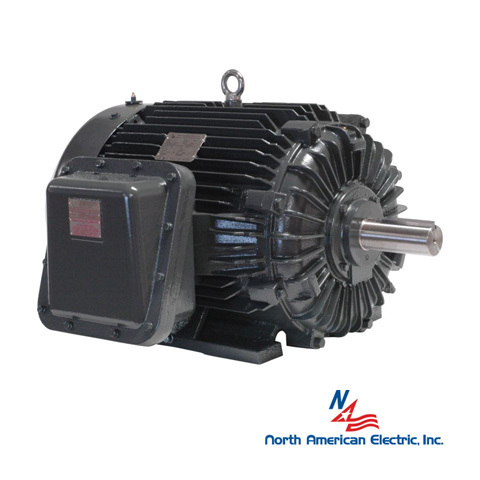 We Stock a number of North American Electric Products ranging from Motors, Controls, and Shaft Mount Reducers. Our machines are powered the North American Electric Motors. The products range now includes NEMA Premium Efficient, Three Phase, TEFC, AC General Purpose Motors from 1/3HP up to 600HP and Single Phase, AC General Purpose Motors from 1/3 HP to 10 HP ect.. 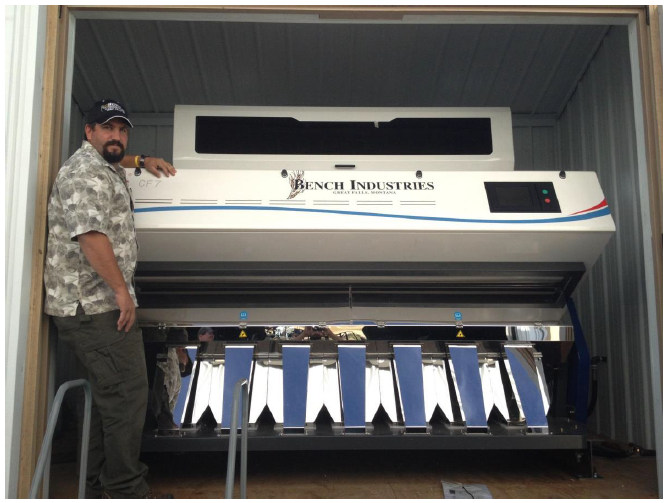 Bench Industries......The leader in Modular Air Screen machines in the Northwest. Hosted and maintained by AP Consulting.